Following is an outline of our services; segmented into the phases that are most often required to generate a comprehensive design program. We are available to perform any or all of these services, as required by the scope of the project. The Schematic Design Phase develops the food service programs, space allocation, preliminary equipment determination, as well as utility requirements and budgetary information. 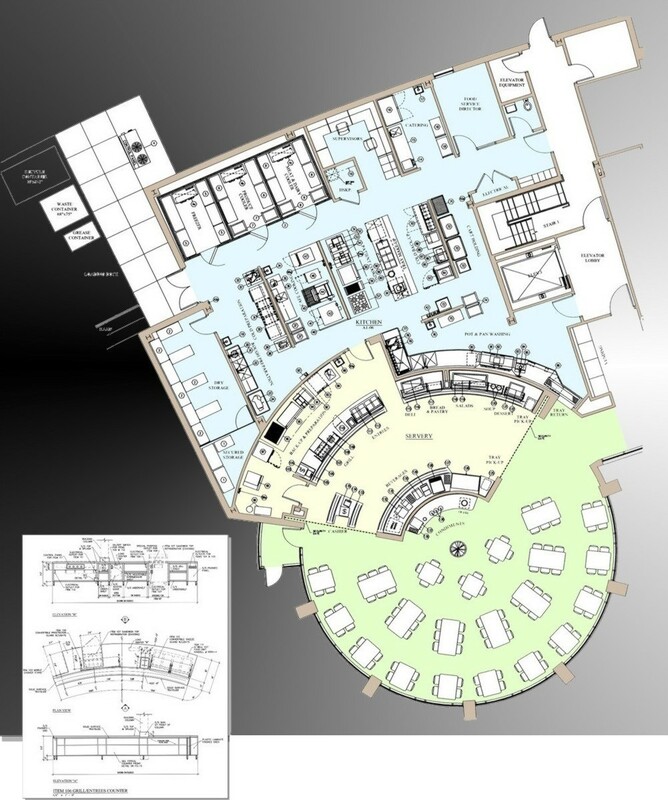 The Design Development Phase creates food service equipment plans and details utility connection requirements. This phase also includes interior design of the spaces. The Bid Document Preparation Phase generates specifications and drawings that will allow competitive bidding of food service equipment and furnishings. The Coordination and Approval of Submittals Phase provides a review and approval of the food service equipment and furnishings contractor's submittals. These submittals include custom fabrication shop drawings, utility rough-in drawings and equipment product sheets booklet. The Final Inspection and Training Phase consists of an inspection of the food service and furnishings contractor's work after completion of their installation, to assure that items furnished are those specified and that the work meets the quality requirements stated in the specifications. Demonstration of all the food service equipment, by qualified factory authorized personnel, is then scheduled with food service management.